The iPhone 11 is expected to arrive in September. Though that’s 8 months out, there’s already a lot of buzz about what it’ll bring with it. It’s said to be bigger and better than XS, though it’s unlikely to re-shape the Apple handset line which was rebooted by iPhone X only two years earlier. That said, with the knowledge that Apple is underselling iPhones as what was forecasted initially, perhaps the pricing of iPhone 11 will be more affordable at introduction than previous flagships. If previous events are anything to go by, iPhone 11 will launch on 10 September, 2019, on Tuesday. With 3 devices introduced in 2018, we expect Apple to repeat the criteria with iPhone 11 by seeding models like iPhone 11R and iPhone 11 Max. What is expected in iPhone 11? Leaks have already started to appear on the internet. One of the renders shows the device from the back. 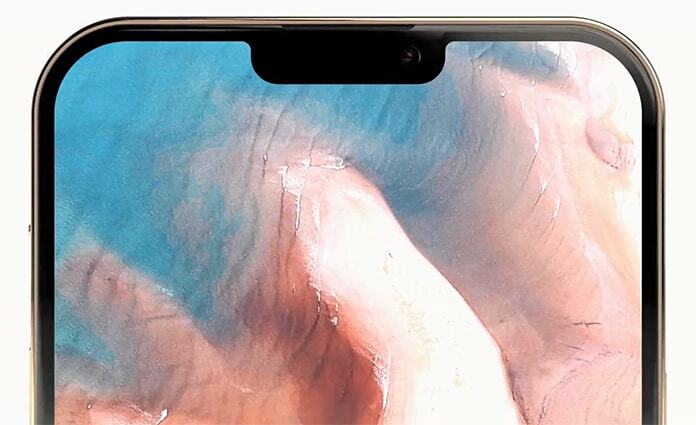 It portrays a triple-lens camera in a big block (the existing model has a two-lens one), and there’s also a glass black along with the button organization as on the XS model. 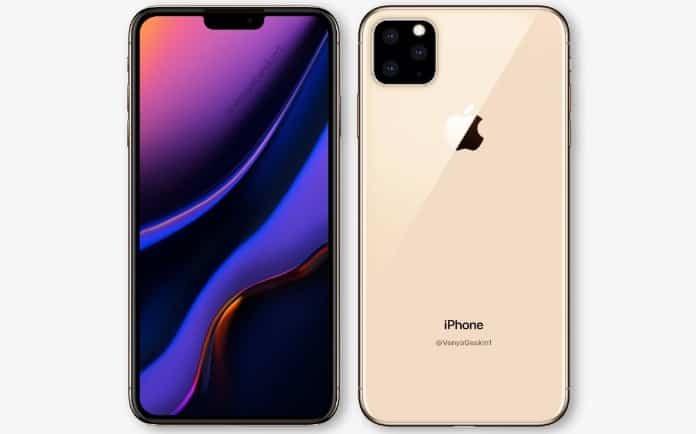 The images’ source adds that three new models are being planned – each for succeeding iPhone XS, iPhone XS Max, and iPhone XR. Though each render is from a reliable source, it’s very early to confirm anything. Also, the design could change before the final launch. Another source says that the upcoming high end iPhone 11 will come with three rear cameras, so it could be an accurate prediction. The source also says the other two models will also contain dual-lens cameras and the XR successor will even feature an LCD screen. Other news talks about Sony’s next-gen 3D sensors being present in the new handset, which may provide improved Portrait mode depth, AR implementations, faster face unlock, and some 3D modeling features. 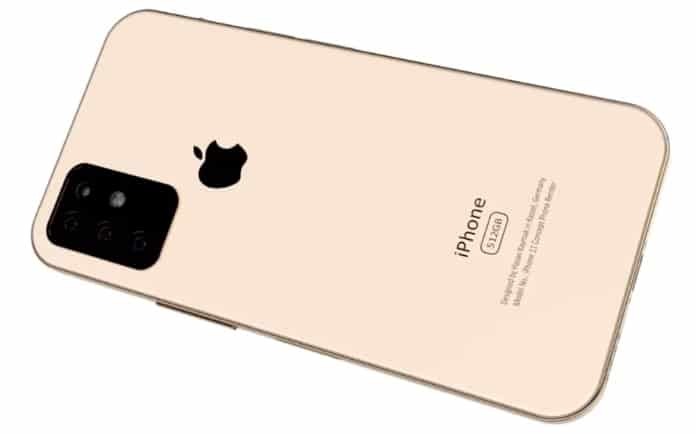 Along with an improved front-facing camera, the iPhone 11 could also feature snapper and relevant sensors in a tiny notch, as an upcoming tech produced by camera component suppliers of Apple enables a few sensors to be fitted below the screen. Additional leaks for iPhone 11, meanwhile, say that the new handsets will support Apple Pencil input – this currently functions with iPad devices. The A13 chip is also being rumored for iPhone 11. Analysts claim that it is already in the works. Inside the handset, it is said iPhone 11 will support the new WiFi 6 connection standards – through 2020 is the year when 5G might make it. Launch dates for iPhone 11 have been predicted as Sep 10, 13 or 20 for this year. The launch date of iPhone 11 could be after the September 6-11 IFA 2019 event in Berlin, Germany, after which Apple could introduce its handset. Historically, no event of iPhone has been done on Monday, with Wednesday and Tuesday being the most popular release days. But with Wednesday being the day of mourning in the United States, 10 September, 2019 (a Tuesday) seems the most likely launch date of iPhone 11. If the launch gets delayed by a week, expect iPhone 11 to arrive on September 17, 2018, or possibly September 18. As for the device’s pre-order date, we expect it to be around September 13, and consumers should be able to get their hands on the device around September 20 if our analysis is correct. We’re certain that the iPhone 11 will be priced high. After all, the iPhone X and XS begin at $999, so identical pricing might be there for iPhone 11. That said, there is a slight chance that the iPhone 11 might be a little more affordable, since Apple hasn’t been able to beat iPhone sales forecasts. Or it may be somewhere in the middle (a price freeze, not a reduction). That’d be great news for the iPhone XR successor – the 11R – as people have complained about the iPhone XR’s steep pricing. Name: iPhone 11, iPhone XI or New iPhone? There are several options to choose from for the name. After XS Max and XS, where does Apple go with the name? Will the company stick with roman-based numbers, go to conventional digits, or drop both? At this moment, nothing is confirmed. That said, just the name “new iPhone” might be the winner. Numbers have already been ditched for iPads, Macs and MacBooks. There’s always room for improvement with new iPhones. With that in mind, here’s what people like to see most. The notch on iPhone is prominent because of its size, but it also occupies ample space at the screen’s top while Android owners enjoy single front facing cameras with dew-drop screens. What prevents Apple from ditching it is all the features the company offers, like Face ID. That said, we won’t mind if Apple reorganized the speaker and sensor, microphone, and features that reduce the notch’s size. Also, a no notch would mean an elegant and clean design – that’s sure to make an impact. Same design has been used for the past two iPhone generators. Revamping the look with be a fresh thing to do. Ditching the notch would be the first step, but it’d be better if it goes further by altering power key, volume buttons, and slider alert. Google and HTC have already draped their handsets with squeezable sides, and Apple goes in the same direction, we could say good by to the switch of a physical button. iPhone has a good battery life, but iPhone 11 can mark the beginning of a new chapter in Apple’s battery life history. Though its unlikely that we’d get multiple days of battery like feature handsets offered in the 90s, a stretch of a couple of days from one charge is just what we want. The newest iPhones come with dual SIM capabilities, but they have one eSIM and one physical SIM. In 2019, sliding a SIM card inside the handset is old fashioned, so we won’t mind a dual eSIM setup on the iPhone 11. If that happens, we’d easily be able to switch between networks based on how much tariff we’re paying. That’s also takes out the SIM tray from the offering, leading to a sleeker look and freeing up space inside the device for brand new features and more battery juice. This is unlikely to happen though, as only a few carriers around the world offer the functionality to support eSIM at the moment. 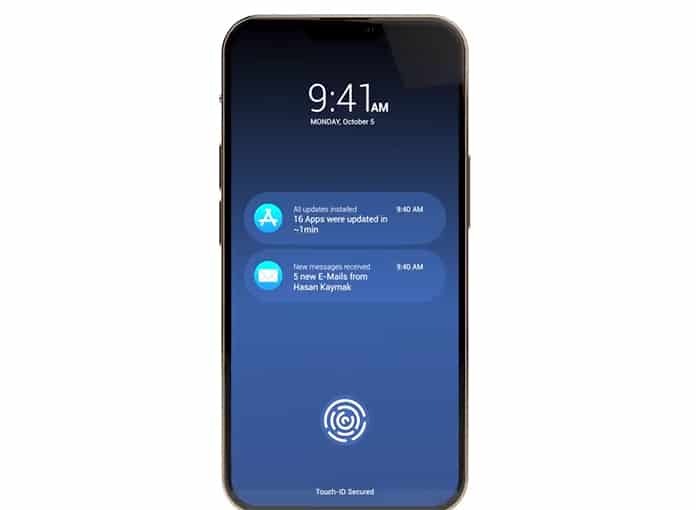 That said, with 5G purported to arrive in 2019 and the existence of eSIM inside the iPhone XS Max, this may just happen. Are you excited for iPhone 11? We’re already saving money to buy ours.